There has been a lot of talk about the use of digital media to support Diverse & Multicultural communities, initiatives & programs lately, and LittleeLit is responding to the call for resources. Yesterday, Storytime Underground recently reported on The Single Fracking Coolest Damn Thing on the Internet, which happens to be the Future Librarian Superhero’s new Everyday Diversity campaign (get involved!) 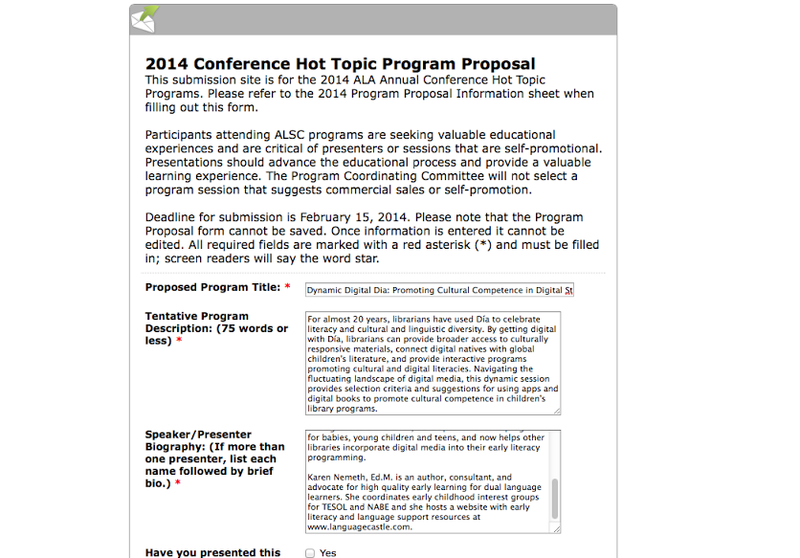 and we found out that Jamie Naidoo, Karen Nemeth & I will be presenting Dynamic Digital Dia: Promoting Cultural Competence in Digital Storytimes as a Hot Topic Program at ALA Annual in Las Vegas in June. Description: Bilingual ebooks and apps can greatly enhance early learning for young Hispanic children – if they are combined with high quality learning activities. This presentation will share models of innovative collaborations between librarians and early childhood educators that are effectively using ebooks and apps in new ways to engage early learning. A system for evaluating the quality of digital resources for young Hispanic children will also be discussed. Check out the post Karen wrote for us in November entitled Resources to Support Including Dual Language Learners in Storytime. I reviewed two picture apps about kids with different abilities. Here’s the link to my reviews on the PicPocket Books Blog. Up & Down is a nice free ebook app that mirrors the similarities between the days of two friends who live across the world from each other (including a light game option where you try to find the same object in each boy’s frame). A Day in the Market is a gorgeously illustrated ebook app about a nanay (“mother” in Tagalog) and her daughter’s trip to an outdoor market. Text and narration available in English or Tagalog. Neither of these two have single word highlighting, but they’re definitely worth several reads. Touch & Learn: Emotions (free) features photos of children from a variety of racial and ethnic backgrounds. Posted on February 28, 2014, in Literacy. Bookmark the permalink. Leave a comment.